As the Man Booker Prize for literature announces its annual long list, it has once more made headlines for taking an unusual step. The Booker is one of the most prestigious literary awards in the world (I would include it in a list that features the Pulitzer, Nobel and Neustadt awards) but it has not always made good choices, from its criteria for selection to the decision to insert a sponsor name in the title (you don’t hear about the ‘Google Pulitzer’). Britain alone has at least 30 national literary awards, often in specific genres. US writers won the last two Man Booker prizes after the award was opened up to authors from outside the UK and Commonwealth – an unwelcome move considering most US prizes are closed to outsiders unless they are specifically international, and given the size of the country. But the Booker has often been controversial in the past. It started in 1969, and although in those first five years Muriel Spark, Iris Murdoch, Doris Lessing and Patrick White were all nominated, not only have many of the other nominees been forgotten, like Barry England, GM Williams and Terence Wheeler, but even some of the winners have disappeared from the collective memory. The Booker had an age-old problem; how to balance literary excellence with readability. It was very fond of stream-of-consciousness novels that nobody bought. Bernice Rubens won the Booker in 1970 for a psychedelic tale of an amphetamine addict, ‘The Elected Member’. The Booker was accused of trying too hard to represent zeitgeist works. 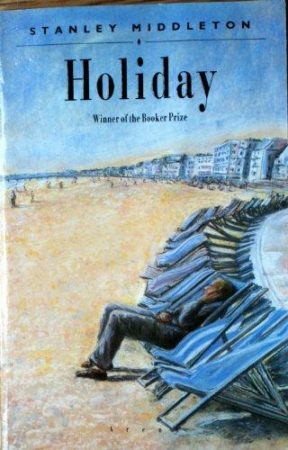 In 1974 Stanley Middleton, a church organist and reporter for the Sunday Times, won for ‘Holiday’, a novel centering on a lecturer at a seaside resort. Apart from its obvious quality, it seems to have appealed to the judges because books that took place within the mind of a character were very much in vogue. Middleton later refused an OBE because he felt he was just doing his job. In 2006 the opening chapter of his novel was resubmitted to publishers along with that of VS Naipaul’s Booker winner ‘In A Free State’. Only one agent felt ‘Holiday’ was publishable, while none wanted Naipaul’s work. Clearly, the Bookers were worried about public image; Too obscure, too fashionable, too impenetrable – the British press had a go at them whatever they did, so subsequent juries played it safe. For the next few years, tried and tested literary names won the prize – until the all-but-unknown Anita Brookner upset the apple cart by winning for ‘Hotel Du Lac’. Readers turned into a living Bateman cartoon of shock and awe. It was readable, it was light and it wasn’t a thousand pages long! What’s shocking now is to look at the nominees and winners and realise who lost; David Mitchell, Sarah Waters (twice), Beryl Bainbridge (twice), Ali Smith (three times). Another flirtation with readability saw Hilary Mantel win twice for a continuation of the same book. In 2016 it appeared that the Bookers might have gone back to courting fashion by rewarding Paul Beatty’s ‘The Sellout’, a coruscating, motor-mouthed satire about a black man who reintroduces slavery into his neighbourhood, described by the chair of the judges as ‘a novel of our times’. Zeitgeist was back. It has already dated. Now comes the news that on the latest longlist – shepherded by the wise and wonderful Scottish crime writer Val McDermid, who needs no introduction in these pages – there’s a graphic novel, ‘Sabrina’ by Nick Drnaso. Graphic novels can win the Pulitzer, Hugo, Ignatz, Kirby and a dozen other awards. They have not made the Booker list before. ‘Sabrina’ has made the longlist, but it’s unusual in that the artist is also the writer. The problem still exists that artwork, like opera and music, is a way of providing something words can’t do alone. One can’t exist without the other. ‘Sabrina’ concerns a family trauma presented in a mundane, everyday style rather like the how-to instructions on an appliance, that reminded me a lot of ‘Jimmy Corrigan’ (below). Like ‘Corrigan’ it is diagrammatic and dispassionate, and analyses the small details of life to illustrate its bigger theme. McDermid, who has fought long and hard to have genre fiction accepted in the mainstream, together with her fellow judges, has made a good call here. Admittedly it’s only the longlist, and perhaps the point has been made by it being included at all. Stories are stories. Awards are, by their very nature, bizarrely unnatural. I can’t say with any conviction that one book is ‘better’ than another, just different. Some of the finest writers I know have never made any awards list. Usually if I’m nominated it’s in a very specific sub-category. Very few awards matter to the public but they affect the writers, who are validated. since authors are notoriously insecure and self criticising. I’d have to read the criteria for the Man Booker before saying anything absolutely about this choice for the long list, but the drawings take the place of words (a lot of words) and I have a general feeling that they are “something else” rather than a words only book. It’s more than just an illustrated book. The illustrations are a translation of words into image while in the graphic novel the pictures are the words. I have serious reservations. It’s not a matter of something less, but of something other. I totally agree with you, Helen. 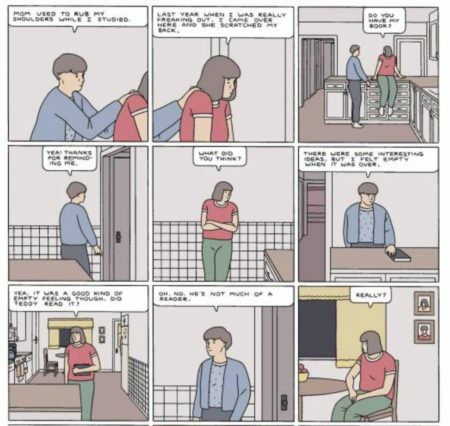 A graphic novel, although it does contain words, it is at it’s core a visual experience. It’s sorta like the difference between a play and a film. A short time ago I started ready graphic novels simply out of curiosity and I have to confess that I absolutely love them! They are fun and entertaining. I’ve been reading the stories written by Alan Moore who is something of a god in the graphic novel world and one thing is for sure – he does know how to tell a story. And his stories have ideas in them. Chris, on a subconscious level, I think you had something to do with my excursion into the world of graphic novels. Some time ago you wrote in a blog post the need to evolve the stories we tell and how we tell them. That really stayed with me because I think it’s true. The world we live in is super visual and that’s not going away anytime soon. Storytelling and tellers have to consider that reality. If you read every word an author puts into a book you have the pictures as well as the story s/he intends to tell. It’s hard to avoid whatever detail there is. In a graphic novel you have to do more than read the words; you have to read the pictures. A dark figure in the shadows at the edge of a frame gives you the feel of danger and so on. The same messages are sent because the iconography is the same so far. 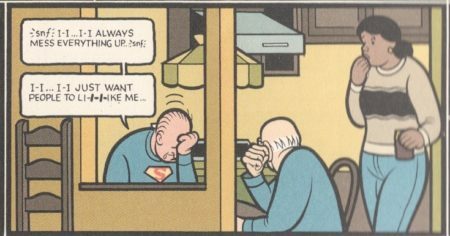 The only thing against graphic novels as I see it is that it is difficult to reverse the feeling. In a print book you can explain away a feeling of danger (“the cloud passed away from the sun”) but I think it’s harder when you’ve drawn a mood into a picture. I think I know what I mean but I’m certainly not saying it very clearly. Perhaps if I drew a picture? Did I read that Belinda Bauer the crime writer is on this years judging panel? I voted for B&M in the Dead Good Reads. Helen has a good point– language is more fluid than pictures/images, especially the kind of pictures in a graphic novel. Strip out the graphics — what is left? Is the writing, plot worth anything? Compare Maus with Sabrina–one is humdrum; one is not. Or look at some of the graphic novels written by the sub-adult set (international no less) and you may find both Maus and Sabrina wanting. MB and its sisters continue to disappoint (despite feeble attempts to include something about people of color). Meanwhile science, history and economic writing prizes point out remarkably good writing and exciting stories. . There is one area where graphic novels have an advantage and that is in the physical portrayal of characters. An Asian, Jamaican, Norse character states their origin in every frame with a stronger impact than a writer can create because an author is not going to make an issue of stating origin in every paragraph since readers would feel they were being hit over the head with it but it’s essential to a graphic novel.